If you’re looking for quality materials, lots of features, and the most comfortable accommodations for your money, then it’s time to step inside the interior of the 2018 Toyota Corolla at our Miami Toyota dealership. Hollywood drivers already know there’s a rich history to the Corolla, which is perhaps matched only by the comfort-inducing cabin of the new model year. Enjoy this sneak peek at the Corolla’s interior! This five-passenger compact sedan boasts a total interior volume of 110.5 cubic feet, and the trunk gives you 13.0 cubic feet of luggage space to work with, perfect for grocery trips and weekend excursions alike. 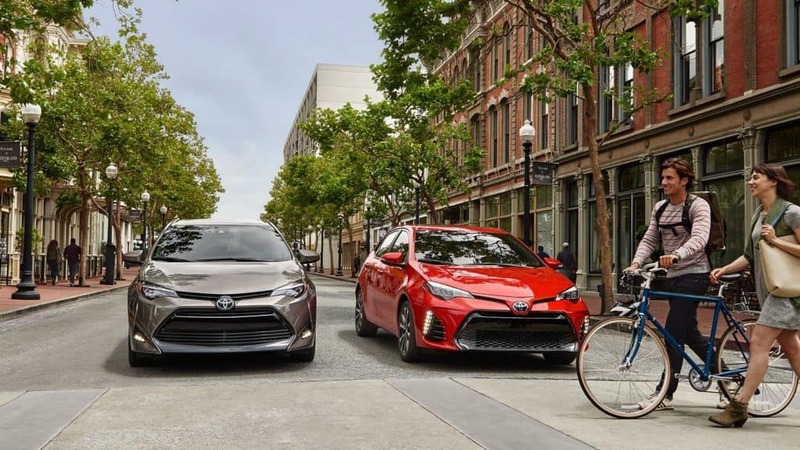 Find out if the new Toyota Corolla is the right sedan for your daily commute to Miami or Fort Lauderdale by taking it for a test drive at Toyota of North Miami. Folks throughout Hollywood choose to shop with us for our dedicated service and convenient location at 16600 NW 2nd Ave in Miami, FL. You’ll find us open seven days a week, and you can always contact us at (305) 974-1103. To learn more about upcoming models, check out our guide to the 2020 Toyota Corolla interior.